Rugby Australia refused to rip off the band-aid off and by installing a Director of Rugby over the top of Michael Cheika it risks turning the coaching set-up into a festering sore. After another nightmare week in which the board opened itself up to a hammering in the press thanks to chairman Cameron Clyne's bizarre non press conference, called to tell a frustrated rugby public that at least for now the status quo would remain, it appears that finally a decision on coach Cheika and his team has been made. Rather than removing him after a calendar year that delivered a woeful return of four wins from 13 Tests, RA is set to keep him on with the catch that he will answer to a Director of Rugby type in former Wallabies assistant coach Scott Johnson. 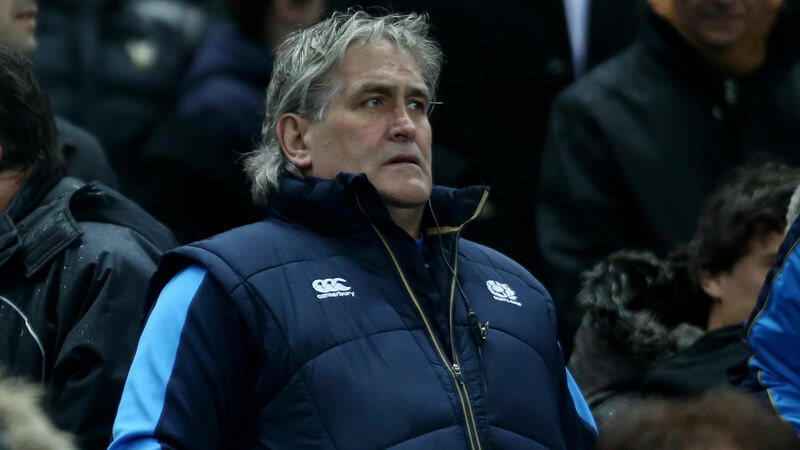 Johnson has, for the past five years, enjoyed massive success in spearheading Scotland's high performance programme in a similar role to the one that he's touted to take with the Wallabies. Given his pedigree and his reputation, a surface look at the appointment gives it plenty to recommend it but it can only be a success if Johnson and Cheika are committed to working together. That's where problems could well arise, according to Wallabies legend Peter FitzSimons, who fears that Cheika will not respond well to direction on how to coach his side. In fact FitzSimons describes Johnson's likely appointment as "a half measure". Should Johnson be brought in, FitzSimons would prefer him to immediately take the head coaching reins rather than setting up a structure that could result in a power game that ultimately leads to Cheika leaving the fold and Johnson taking his job. "I'm not a fan of what Rugby Australia has done, which is right now not much," FitzSimons told Wide World of Sports in an exclusive interview. "I thought they had to take a decision and say 'yay or nay', not leave it in abeyance. "For me putting in Scott Johnson in an overseers position is a half measure. I would rather have left Cheika in tact or they got Scott Johnson in holus bolus and said, 'here you go, run the show'. "I suspect it's in the future of Scott Johnson to become the Wallabies coach and I think he'll be a very good one." Reports linking Johnson to a Director of Rugby role with the Wallabies have suggested that Johnson is not interested in taking Cheika's job as coach and given his average record in international head coaching stints for Wales and then in an interim role with Scotland, his appointment in that role for Australia in a World Cup year would undoubtedly have been a difficult sell. However, the point FitzSimons makes is worth examining. Even if Johnson doesn't covet Cheika's job it is only natural for a coach under pressure to be suspicious if not paranoid when a colleague is brought in over the top of him. Cheika is renowned for having a strong personality and for building successful teams - in the case of the champion Waratahs of 2014, European champions Leinster in 2009, and the World Cup finalist Wallabies of 2015 - in his own vision. If that autonomy is taken away from him, is it more likely to breed success or contempt? The latter according to FitzSimons. "I will be quite surprised if Scott Johnson over the top of Michael Cheika can actually work and improve things," FitzSimons said. "I think Cheika's a fine rugby brain, I think Scott Johnson is a very fine rugby brain, whether their two brains together, with Johnson overseeing Cheika and saying 'why don't you do it this way' and Cheika saying 'OK, that's a good idea' - it's not in the nature of either man. 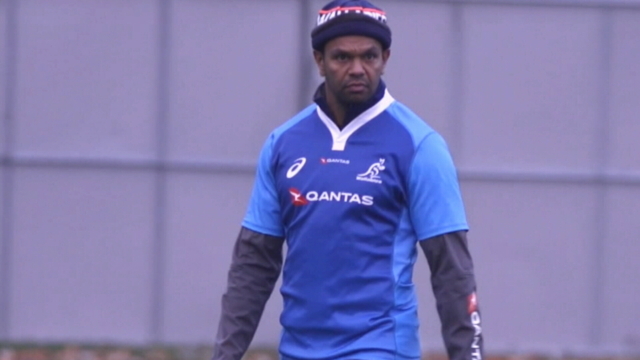 "It's not in the nature of Cheika to go, 'you probably know best'. When you've got someone overseeing you, you've got to be saying 'well you probably know more about it than I do, so good on you, well OK, there we go'." Already the Wallabies have the whiff of a divided team, with FitzSimons citing the way Kurtley Beale and Adam Ashley-Cooper were stood down for the last game of the spring tour against England at the behest of senior teammates as evidence. "That does not bespeak a healthy collective culture," he said. "That bespeaks internal divisions and that can't work." However one part of the Wallabies set-up where the trust seemingly hasn't crumbled is between Cheika and his support staff, assistant coaches Stephen Larkham, Nathan Grey, Simon Raiwalui and Mick Byrne. Cheika is known to give his assistant coaches huge responsibility for implementing game style and with the Wallabies having such an awful trot through 2018 he could have easily made one or all of them scapegoats and dropped the axe. 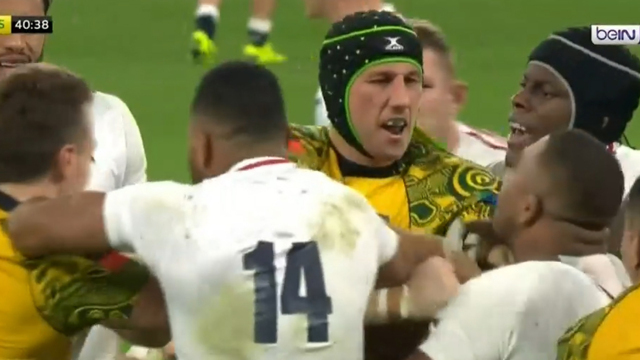 Fiercely loyal, Cheika refused to take that action but with Johnson making decisions about coaching personnel from his ivory tower above, cracks may be forced open. After all, it seems impossible that no one from the current set up is held accountable for a team that looks increasingly lost each time it takes the field. On that front, FitzSimons agrees, something has to give. "I continue to look at how the Waratahs played in 2014, I've never seen rugby like it," FitzSimons said. "It was just brilliant rugby and that was when Cheika was the coach, he was the architect of that kind of brilliant rugby and then he got the Wallabies to play fantastically well in the 2015 World Cup. "The way they're playing now is just unrecognisable." By taking the Director of Rugby path, RA has left the band-aid dangling on rotting flesh. We wait to find out if Johnson will be the antidote.